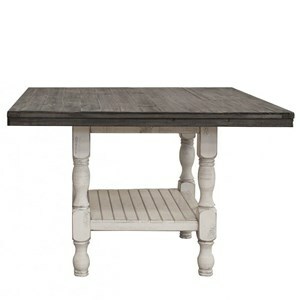 Update the dining space in your kitchen or dining room with this solid Pine table. 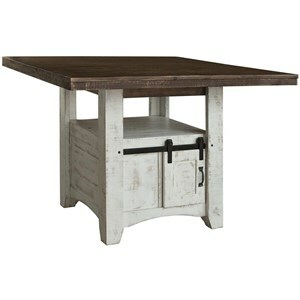 This table features an urban counter height with a rustic, industrial look. 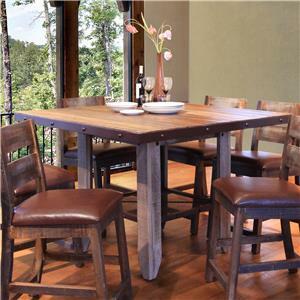 It has an eight-step hand rubbed finish with multi-color hues to resemble real recovered wood. Solid wood is hand brushed, painted and given a final clear lacquer coating that protects colors and is smooth to the touch. 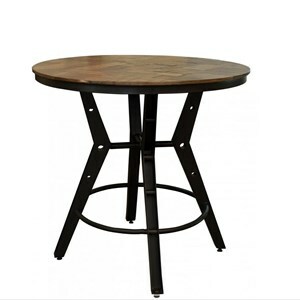 Features include a convenient wire-mesh shelf under the table, nail-head trim and solid wrought iron accents with a durable powder-paint in a “rust” finish. 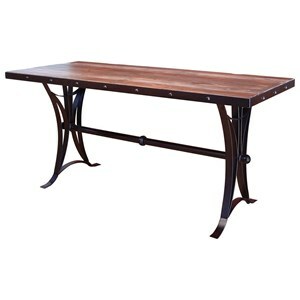 The 900 Antique 52" Counter Height Dining Table by International Furniture Direct at Furniture and ApplianceMart in the Stevens Point, Rhinelander, Wausau, Green Bay, Wisconsin Rapids, Marshfield, East and West Madison, Wisconsin area. Product availability may vary. Contact us for the most current availability on this product. 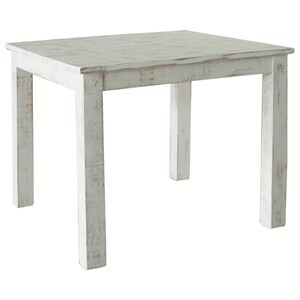 Finish Each piece features a hand distressed multi-color finish on hand brushed wood to resemble real, recovered wood; A final clear lacquer nitrocellulose coating protects colors and is smooth to the touch. Warranty International Furniture Direct, LLC warrants that all of its products will be free from manufacturing defects for a period of one year from the date of purchase by our customers. 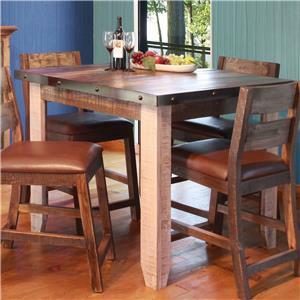 The 900 Antique collection is a great option if you are looking for Rustic Casual furniture in the Stevens Point, Rhinelander, Wausau, Green Bay, Wisconsin Rapids, Marshfield, East and West Madison, Wisconsin area. 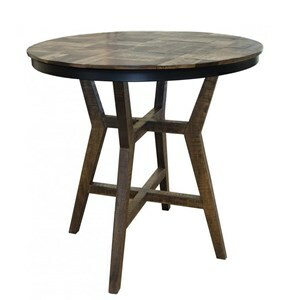 Browse other items in the 900 Antique collection from Furniture and ApplianceMart in the Stevens Point, Rhinelander, Wausau, Green Bay, Wisconsin Rapids, Marshfield, East and West Madison, Wisconsin area.